3D printing has disrupted many industries with the promise of design complexity and short lead times. Join us for this list of the most interesting 3D printed boat projects in 2019. 3D Printed Boat Projects Full Speed Ahead! A resounding consensus from all of the items listed here is that making a functional boat is a large project. Not only does the 3D print have to be dimensionally correct and appealing to look at, but it also has the requirement to function. The challenge in creating a functional boat is that one needs to make sure it is water-tight and secure against any of the marine forces it will sustain. This list takes a look at some of the most exciting hobby and RC scale projects, projects used in industry, and a couple of fun spin-off projects at the end. During the article, we will discuss what gives our selection its real flavor and why it is so unique that it made the cut. Sit back, relax, and enjoy. Starting at the top of our list is the always charismatic YouTube content creator Simon Sörensen at RCLifeOn. 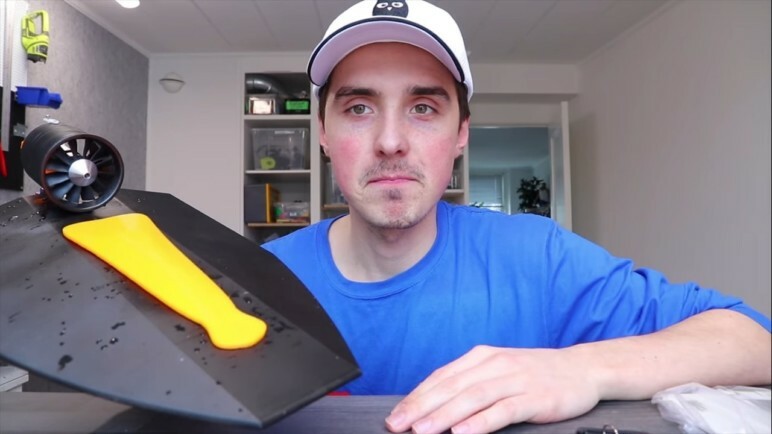 His 3D printed projects have had a history of reaching over a million hits and inspired millions of people to become more interested in hobby RC and 3D printing in general. One of his most recent successful videos covered his design, iteration, and creation of a 3D printed air turbine speed boat. What makes this video unique is his in-detail discussion over modeling and iterations of 3D printing. He made use of the free version of AutoDesk Fusion 360 to walk through his iterations. Additionally, Simon covers his methods of wiring and circuitry and then ultimately shows how his design is tested in the water. He covers the topics of lessons learned and how to keep on working forward with a project until a solution is found. What we like about Simon’s videos is his portrayal of the engineering method. From the design iterations, prototyping, construction, and testing, he covers this airboat to impressive levels and even has some fun. According to Simon, the airboat is made from roughly 800 grams of PLA and took him about 30 – 40 hours to print. The RC portion of it uses a 64 mm ducted fan and uses a speed controller, receiver, and an EDF. The wiring is sealed up with silicon and tucked away into the boat. He was inspired by high-speed boat hull design and wanted an RC version for himself. Designer, maker, and YouTube content creator Peter Sripol is big into hobby RC design. He came up with this unique model of a 3D printed utility tugboat. The tugboat took several revisions to make just right, but after many iterations, he obtained a successful model. He used Fusion 360 to create the model and determine how to assemble all the various pieces. Then using a Lulzbot TAZ 6 3D printer he created all the individual pieces of the hull and structure out of 25% infill with ABS. In the end, he used 2 kg of 3.00 mm filament. He then used acetone to weld all of the individual pieces together during the assembly process. In his video, you can see the plethora of different manufacturing processes he had to use to put this impressive vessel together. One of the exciting pieces that he did was to use brass rods and tubes to handle the ship’s powertrain and propellers. One of our favorite parts of the video is when he launches the boat by throwing it off of the shore. With those types of theatrics, there is no wonder how he has over 900k views on this feature video. Another interesting note about the 3D printed boat model is he made it freely available through Thingiverse. Check out his design and make one for yourself. Check out his video and show your support for his work with a view and a thumbs up. Additive manufacturing is when 3D printing goes into large scale commercial operations. Creating a new marine vessel is the perfect application for the rapid prototyping. The company Thermwood designed and created an industry first with what they call the Large Scale Additive Manufacturing (LSAM). Their machine is capable of printing with an amazing 20 feet x 100 feet envelope making this one of the largest 3D printers in use. Further, the machine has exchangeable print heads that allow it to switch from a 3D printer to a 5-axis CNC mill. The addition of the CNC mill gives the company a distinct advantage in the quality and accuracy of the prototype ship hull. It enables them to print the prototype using a carbon fiber reinforced ABS, and then go back and mill the final shape to a higher level of dimensional accuracy. They need this additional accuracy to use the prototype hull as a mold positive for later fiberglass forming of the final product. Thermwood uses this machine to prototype submarine hulls, helicopter wings, and even entire speed boat hulls for the US Military, in addition to the private industry. This project makes the list due to its size, complexity, and unique applications to boating. Every two years there is a Regatta, or boat race, that happens on the Rhine River in Cologne, Germany. 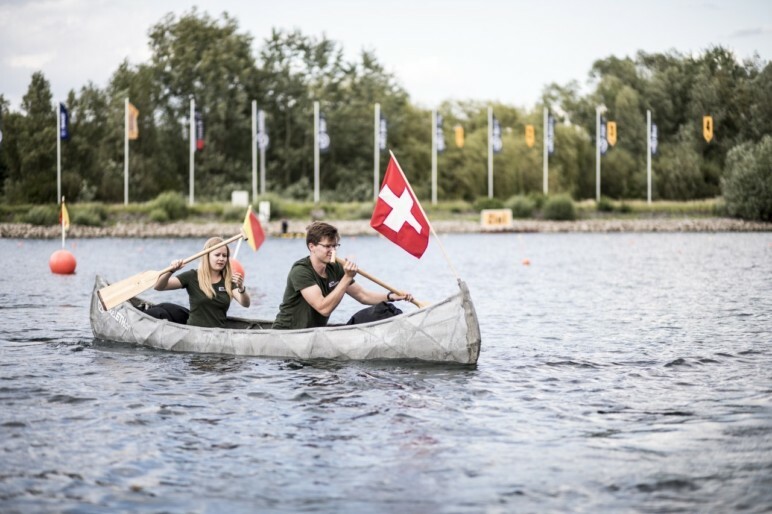 This competition is multinational and features teams of concrete canoe builders from all over Europe. What set the 2017 competition apart from all others is the efforts by the 1st place Design Innovation winners, the Swedish SkelETHon team. 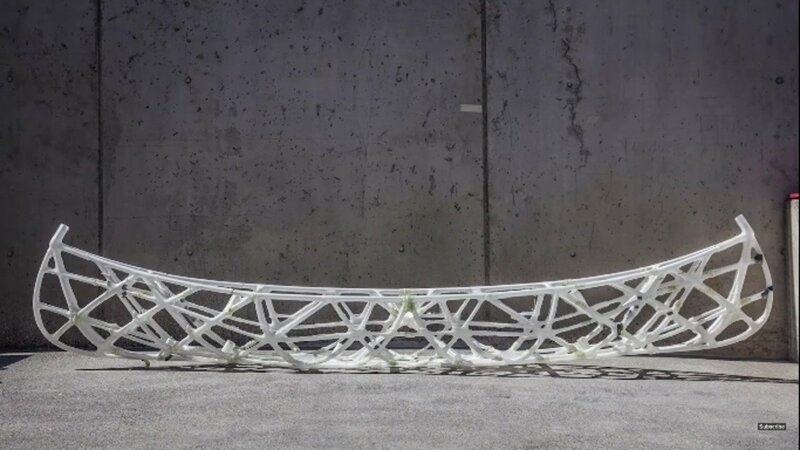 They won due to their innovative use of 3D printing to create this 3D printed concrete canoe. Made from steel fiber reinforced concrete, they utilized topology and shape optimization to create a skeleton framework of the vessel (see feature image). Once the framework is designed, the added texture to interior trusses allow them to use adhesive concrete sheeting to finish the design. This model was then 3D printed using a MakerBot 3D printer as hollow molds in dozens of pieces that comprise the ship’s skeleton. The team carefully glued together the pieces and then injected the concrete slurry into the empty cavities. In order to keep the printed molds from collapsing under the weight of the concrete injections, they buried the whole model in heavy sand. Once hardened they dug up and removed the plastic shells, leaving behind a concrete boat hull skeleton. 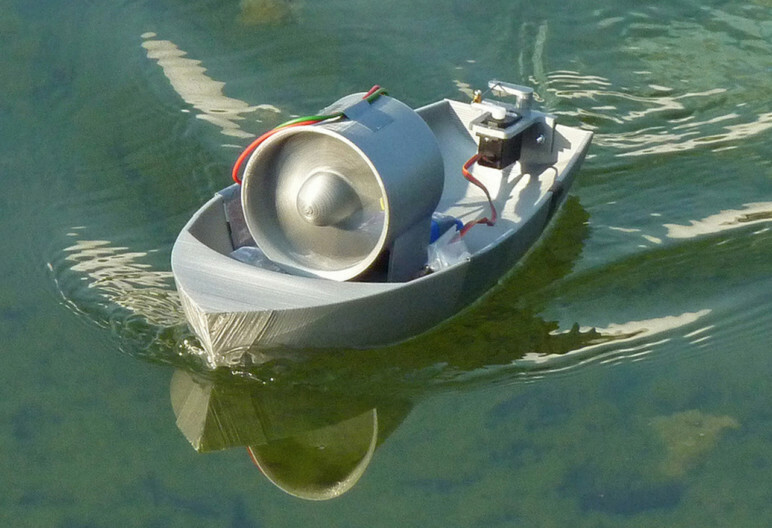 3D Printed Boat Projects 5. The Benchy! 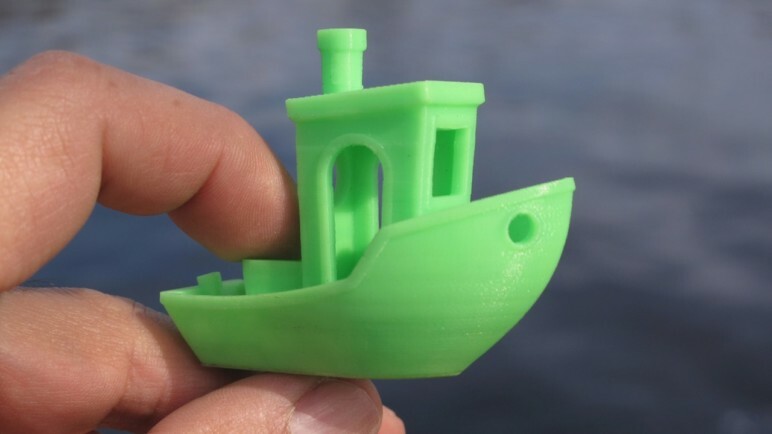 We know what you’re thinking, “Wait, a 3D printed boat list without a Benchy? !” Yes, we almost did it. We almost decided to leave out one of the most printed items in the history of the 3D printer hobby. 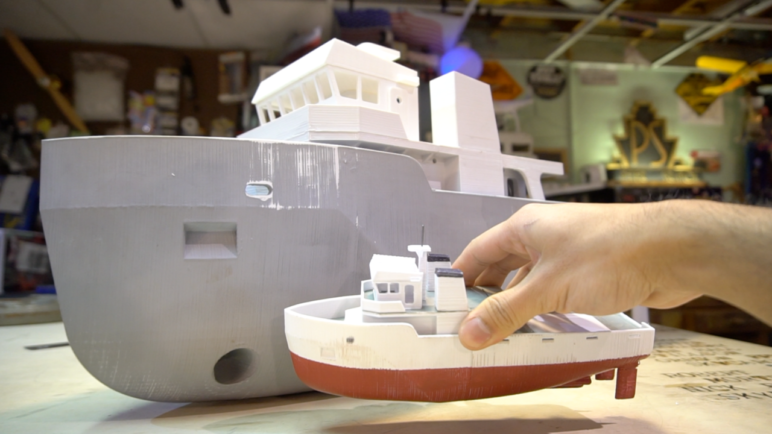 The inequitable Benchy Tugboat is as much as a staple in the 3D printing hobby as PLA has taken over as the most readily printed filament. Designed and provided by the group Creative Tools located in Sweden, this little boat has made a considerable impact. It’s used in tutorials all around the hobby scene and a conventional method to test the print quality of various printers. Thingiverse places the boat at having over 38,000 adds to collections, and more than 3,100 shared makes. Benchy at Sea | Wave Display: Interested in a new way to show off your very best Benchy? Add your little piece to 3D printer history while simultaneously putting your printer and slicer settings to the test today. Follow the links above and enjoy the fun, but don’t forget to share your creations. Having reviewed some 3D printed boat projects, these are the tops for our early 2019 review. However, when considering 3D printed boats as a whole collective, there seem to be different levels. Some 3D printed boats appeal to the creative and cultural side of 3D printing, others to the RC hobbyists. Some remix known boats and models, others are designing entirely new ships and then going through the impressive effort of fully wiring and testing them out. Blowing these out of the water is the industrial scale of 3D printed boats. By 3D printing a prototype, a fiberglass mold is formed in a fraction of the time of traditional methods. All of that being said, 3D printed boats are an interesting topic for certain. 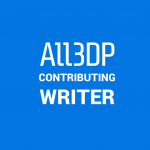 At All3DP, we are interested to see what projects you can come up with. Leave a comment and check us out on Facebook, Twitter, or Reddit. We hope you’ve enjoyed this snip of what’s out there for modern boat manufacturing technology, as always, happy printing! 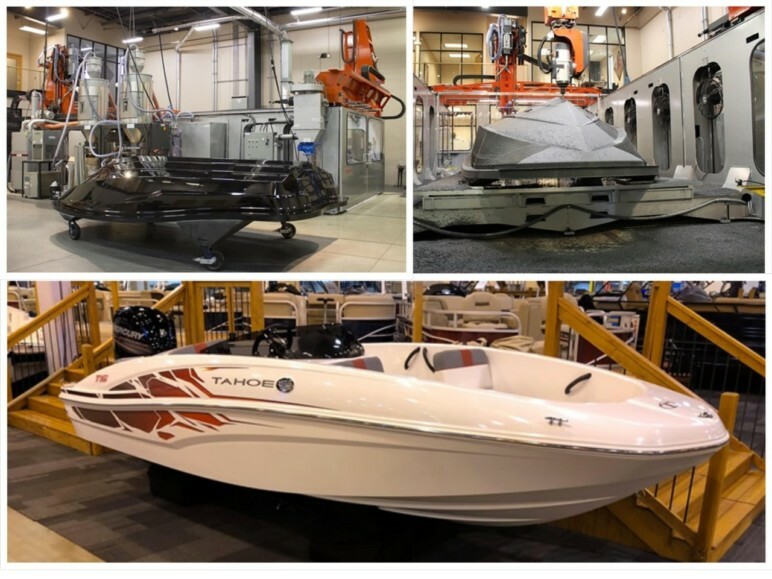 License: The text of "3D Printed Boat – 5 Most Interesting Projects in 2019" by All3DP is licensed under a Creative Commons Attribution 4.0 International License.